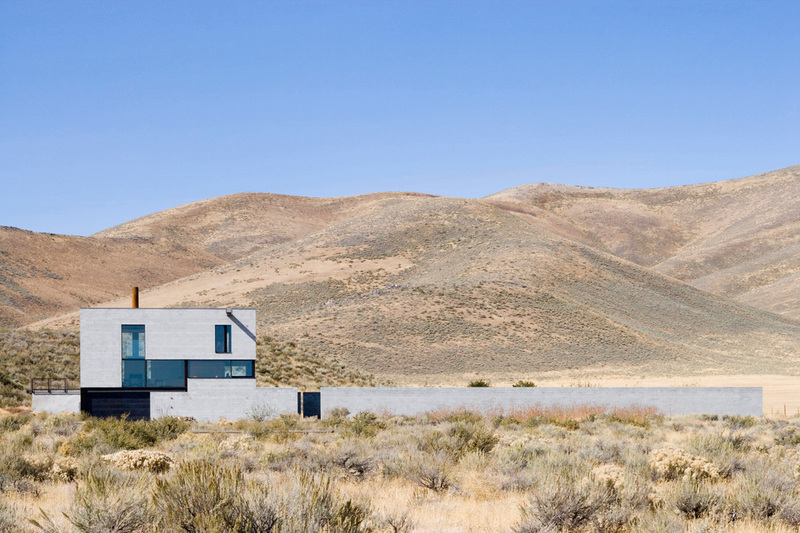 Set in the harsh high desert and remote landscape of Idaho, USA, residence Outpost is a studio/workshop for displaying and making art. 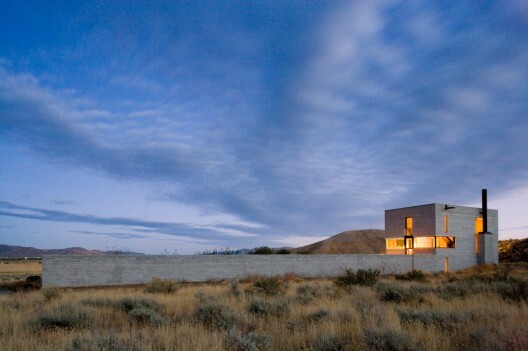 An important element of the complex is the “paradise garden,” which is protected from the wild by thick concrete wall. 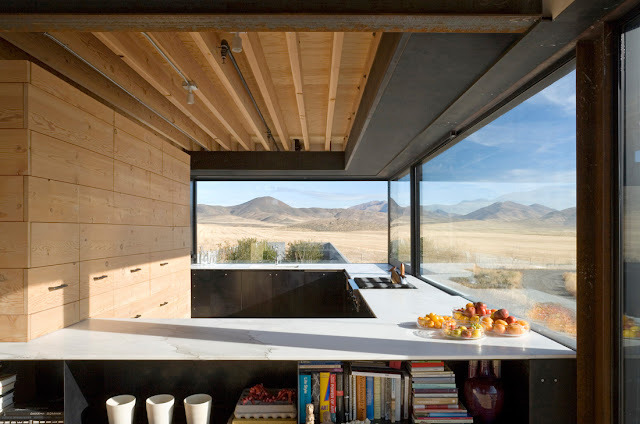 The materials used in the building, including plywood, car-decking and concrete block, require little or no attention for maintenance, and are capable to withstand the extreme weather conditions characterize the desert’s all year long. 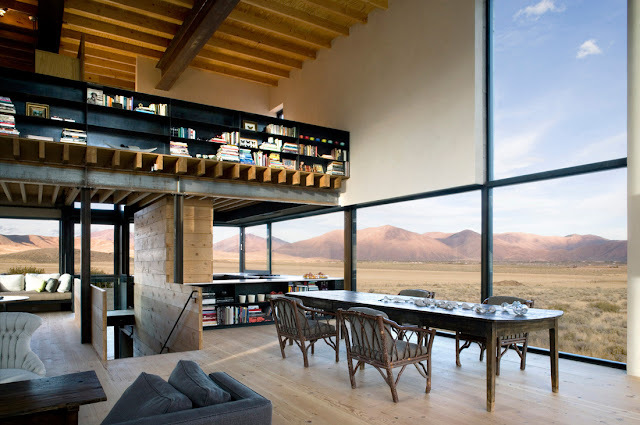 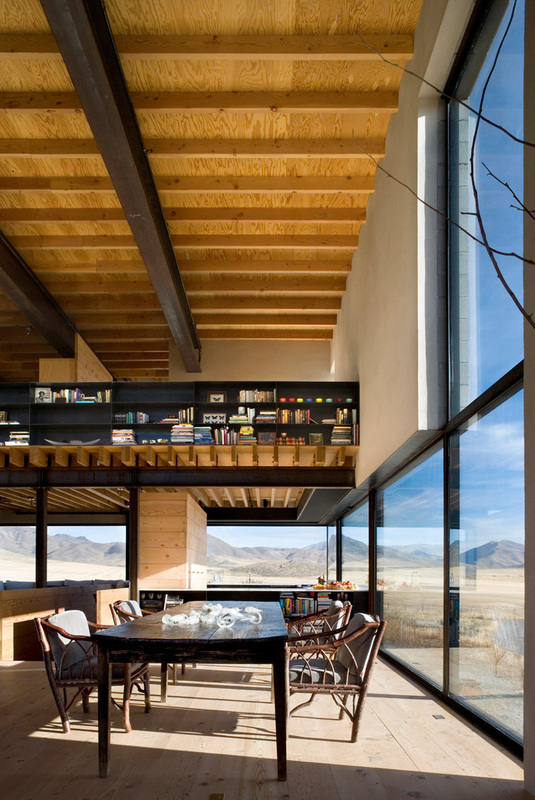 Project received the AIA Honor Awards 2010.